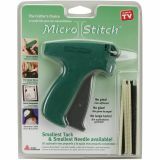 Micro Stitch Starter Kit - AVERY DENNISON-Goodbye to pins, glue, and large tacks! Save time on basting. Ideal for quilting, curtains, linen, quick repairs, and more. The smallest tack and smallest needle available. 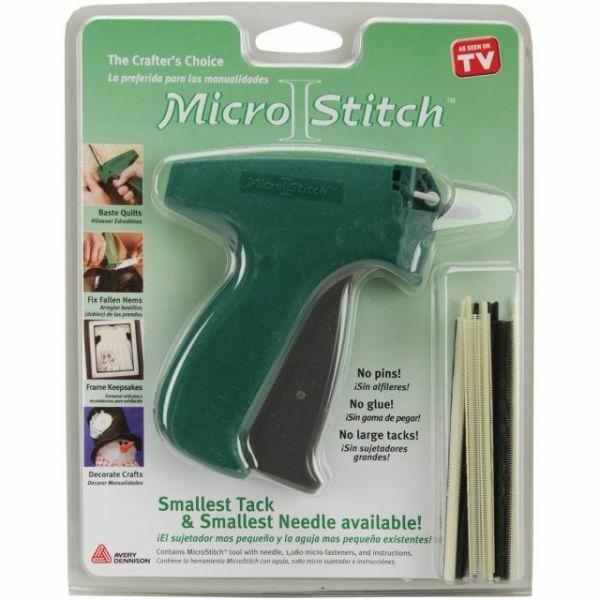 Starter kit contains: microstitch tool with needle, 1080 micro fasteners (black and white), and instructions.